Weekend hellos ~ my the weather has been just perfect this week, I’ve spent a few extra hours outdoors and finished a few painting projects. I’ve spruced up the studio and finally have a chance to take some pictures between the rotating door of guests we’ve had and are still expecting this fall. It seems everyone wants to visit wine country in October 🙂 I’ll share some pictures of the studio next week. Meanwhile it’s another round of ‘Best of the Blogosphere’ with favorite projects and spaces spied around the web, enjoy! 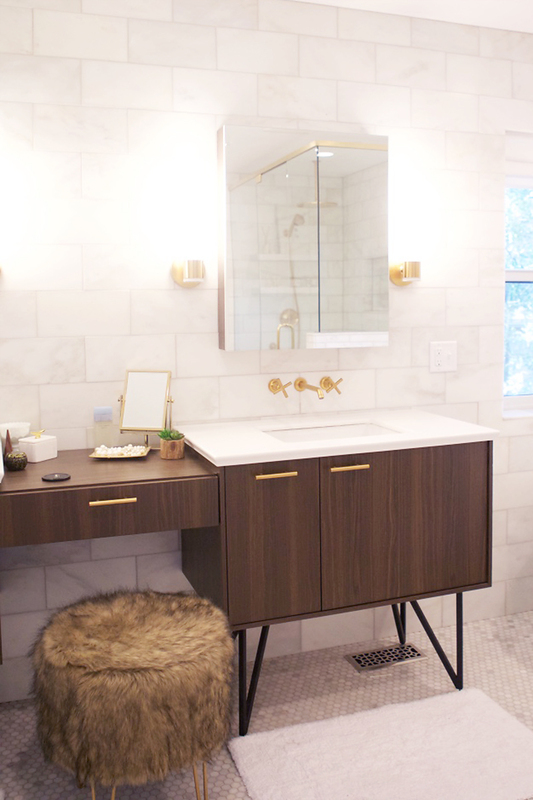 I’m wowed by this master bathroom makeover by Jen at With Heart. 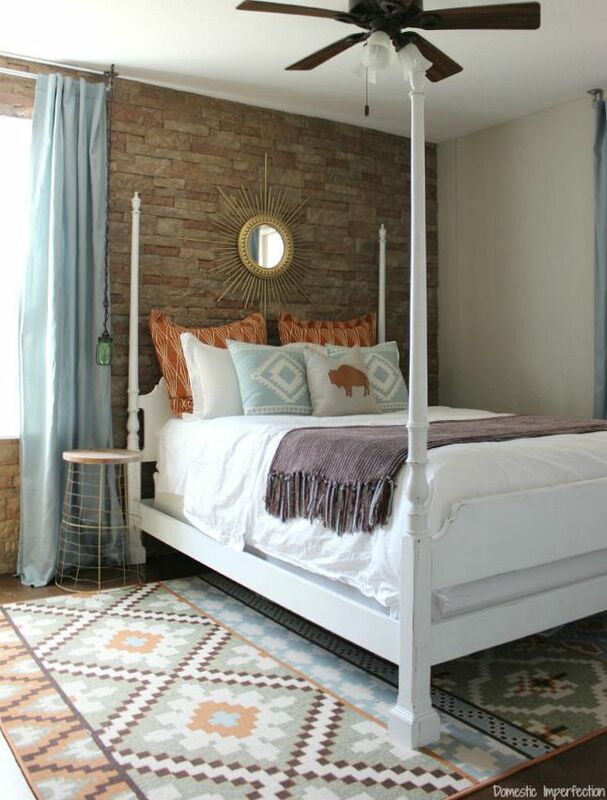 There’s a pretty southwest inspired bedroom to tour at Domestic Imperfection. 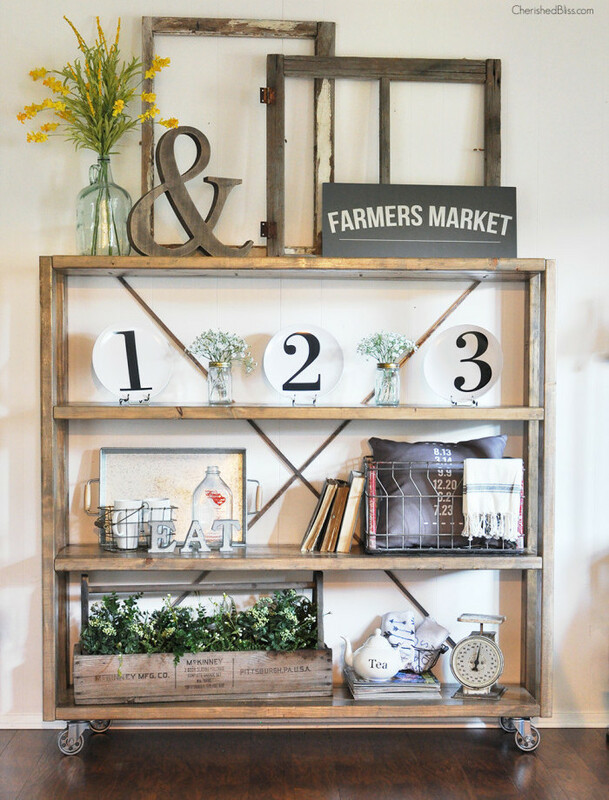 Build a Restoration Hardware knockoff rolling bookshelf with Cherished Bliss. 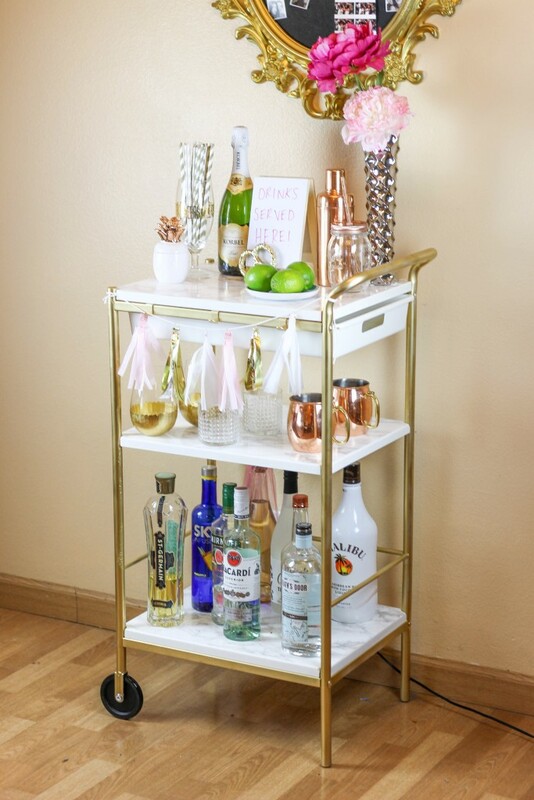 Look how a plain IKEA utility shelf can become a beautiful bar cart! Project by Twinspiration. 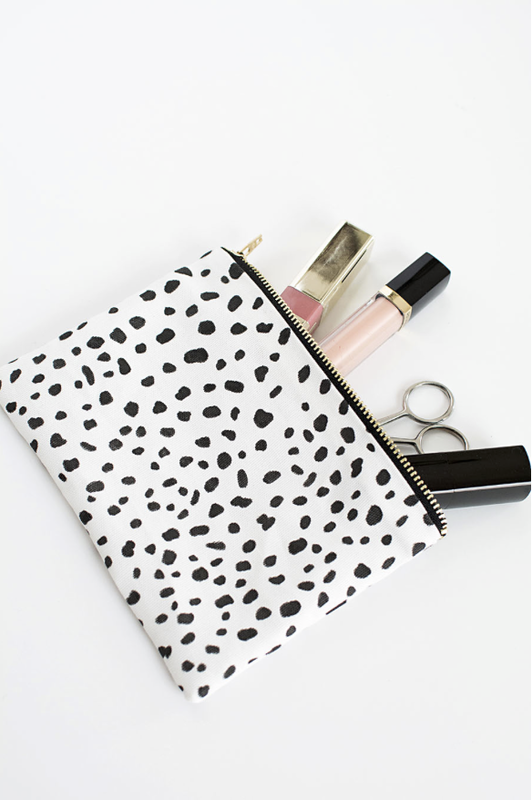 Make this zipper pouch with Amy’s tutorial at the PB Teen blog. NO SEWING! Spray paint for the win! 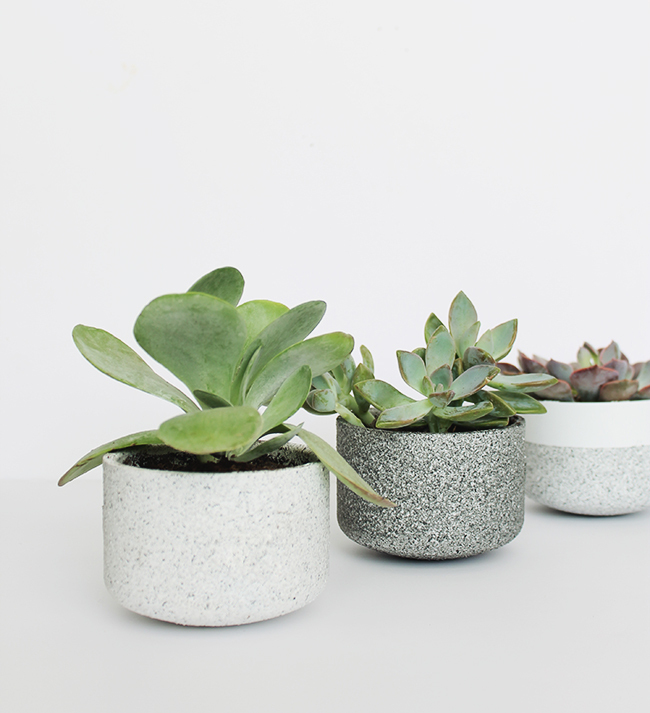 (Again) Make these granite look planters with a supply list found at Almost Makes Perfect. Have a lovely weekend friends ! The post BOTB 10.10.15 appeared first on Centsational Girl.